We were gifted a watch for attending. All opinions of NMB are 100% honest. Moms almost always want a Time Out from their kids on Mother's day, but realistically it's almost always impossible... Offer her a different version of Time Out by getting her a Beautiful watch from Armitron. It's the One Watch with Many Faces that is sure to be a favorite to all. A few weeks ago, we were invited to view a couple of Armitron watches at their showroom and we had an amazing time! 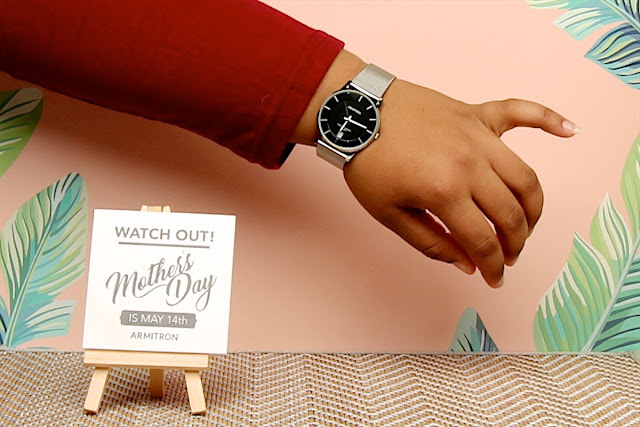 Audrey and Vera hosted a wonderful Moms Time Out event for Digital influencers in which we were able to mingle, sip, and eat, while checking out all the different styles of Armitron watches that are available. Jenna Von Oy was also in attendance to share with us some insights on her new book from her series, Situation Momedy. It's a funny must-read. Did I mention that we also got to take home 1 of 3 beautiful watch choices? Option #1 was a Rose Gold Analog Watch with Slightly Tapered Genuine Leather Strap. It was a fan favorite amongst many of the bloggers in attendance and it sure does compliment both everyday and formal attire. With a Msrp of $55, it's certainly a nice price to pay. Option #2 was Silver-Tone Black Dial Watch with Stainless Steel Mesh Band and Calendar window. It Compliments your outfit in any occasion while still maintaining a sleek style and class at yet another affordable price. Option #3 was also a favorite. It was a Swarovski Crystal Analog Watch with Rose Gold Leather Strap. With easy ways to adjust the leather strap, it's sure to be a woman's best friend as she navigates her work and social life. Did you know that these watches are part of the 2017 Spring Watches Trends? 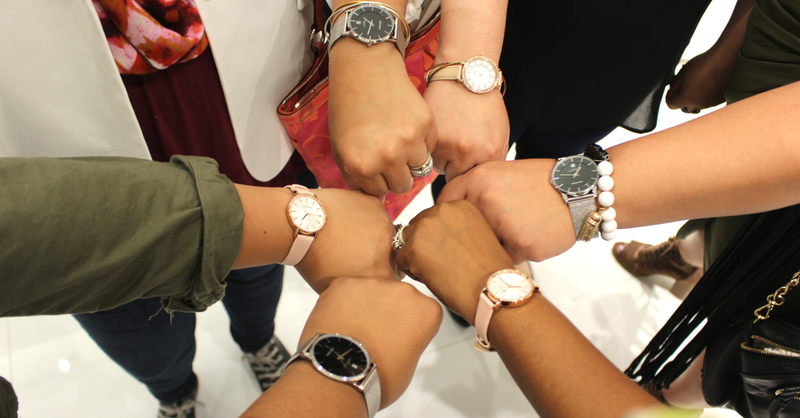 Blush/ Rose Gold colored watches are perfect for spring as it's the color that has been all over the runways for this season. Metal, mesh straps are also growing in popularity in men’s and women’s watches in colors such as gold, silver, rose-gold and even black! Beautiful looking watch and all the different colors are great. Like the large face makes it easier for me to see. Armitron watches look amazing. I need a new watch and the name is super catchy too! 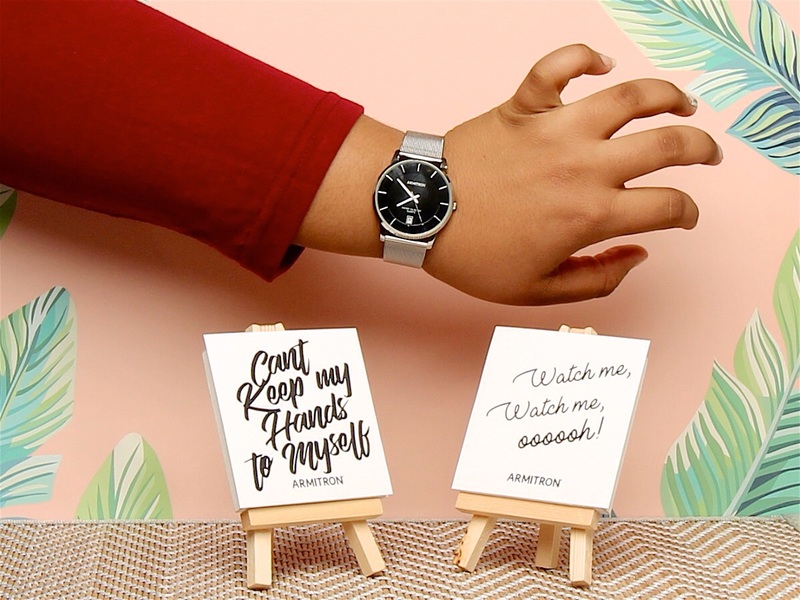 Lol, I love how those songs are used as quotes on the little easels! They are perfect for watches! Very cute. I think watches make such a great gift for any occasion. These look especially nice. What mom would not enjoy getting this! This is such a classic and sleek-looking watch. I’m sure any mom would be happy to receive one. 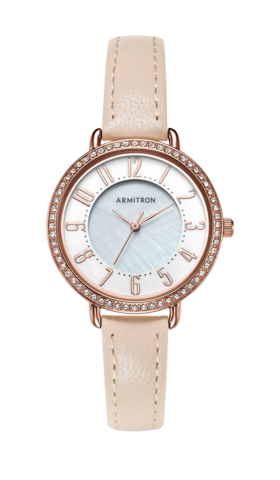 I love the classic look of the Armitron watches. They're simple but beautiful, and I can see them matching almost anything you wear. I am absolutely rose gold obsessed so I love that option the most! What amazing and gorgeous options! 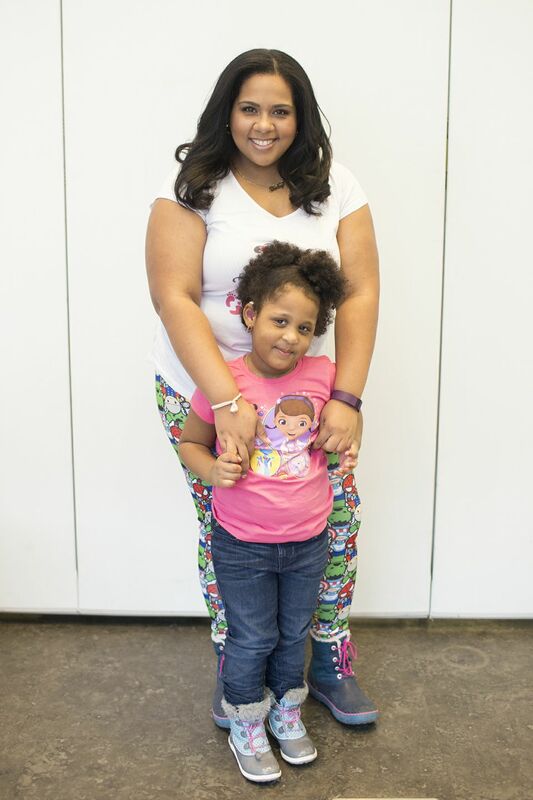 These watches looks cute--I bet my mom would like one! Maybe I'll get her one as a belated Mother's Day gift! Those are cute watches! I love the colors and designs! The pink is my fave! These are all great watches from Armitron. I would love the Gold Analog Watch with Slightly Tapered Genuine Leather Strap or the Swarovski Crystal Analog Watch with Rose Gold Leather Strap. The Swarovski Crystal one I know my mother would want. Thanks for sharing the watches. These are beautiful watches here. I love the variety. I just wish that I could wear watches. They always seem to leave some discoloration on my wrist. I'm adding this gorgeous watch to my Christmas list (birthday already past and so did Mother's Day lol). I need the Swarovski Crystal Analog Watch with Rose Gold Leather Strap. It is just too stylish. 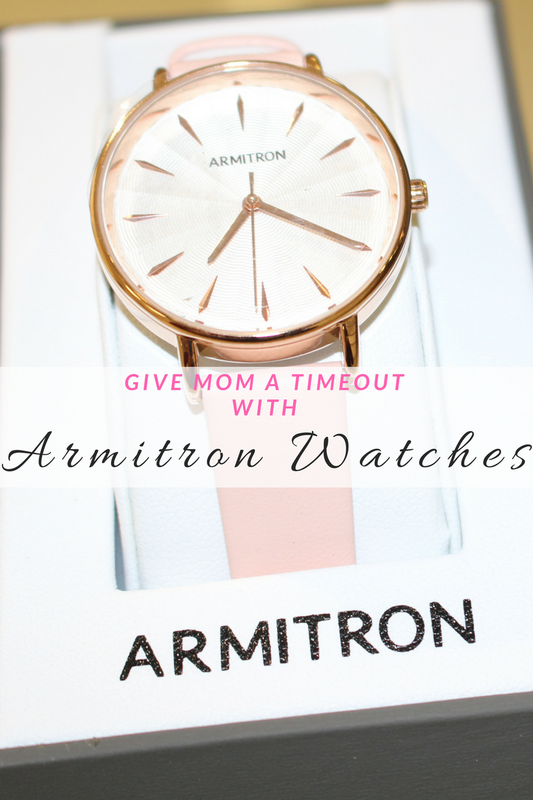 Armitron has some great watches to choose from for mom. I just love that watch! 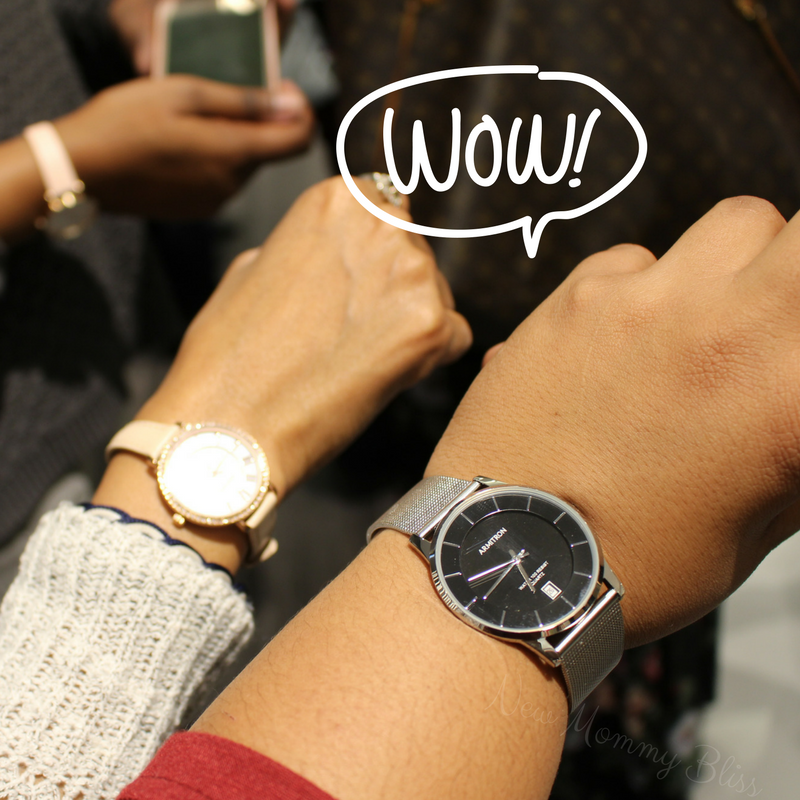 I would love to have the one with the Rose Gold Leather Strap - so pretty! Armitron has such beautiful watches. I love the different colors and designs!